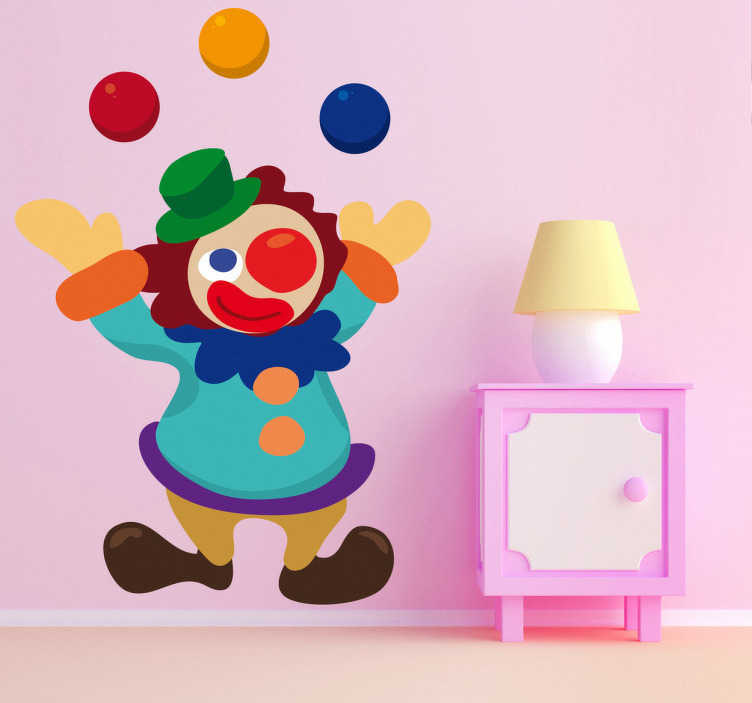 Colourful decal illustrating a happy clown juggling. A superb sticker to decorate the room of the little ones at home! This colourful wall decal will bring colour into your room and you will never have to see those white empty walls. Liven up your child´s room with this fantastic sticker. It will transform your room into a creative one and it will also create a friendly atmosphere for the kids. Easy to apply leaves no residue when removed.